Welcome to my Internet home, newcomers and old friends alike! Just poke around a bit...there's all kinds of stuff here, including samples of my freelance comics work and some of the games I've released. 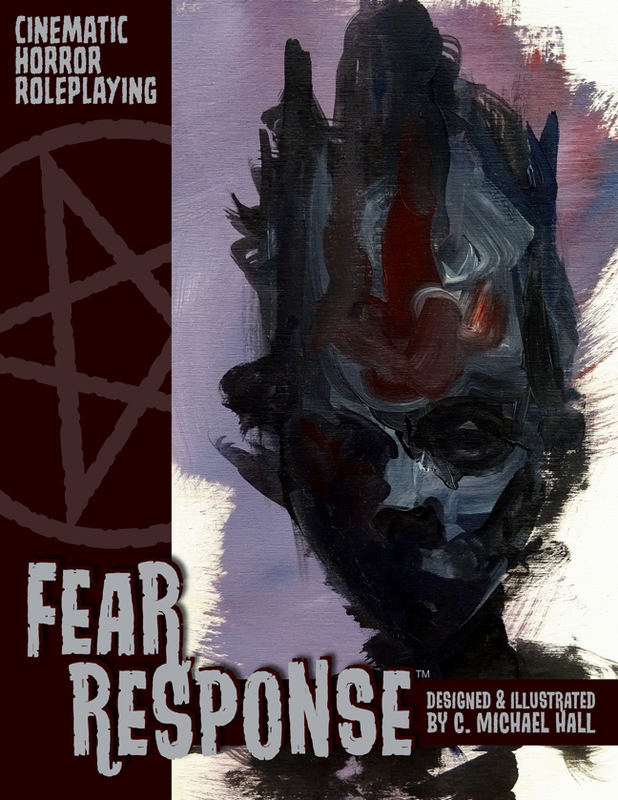 If you're checking back for the latest news, my latest release is FEAR RESPONSE, a self-contained roleplaying game set built to emulate the shocks and thrills of horror movies. 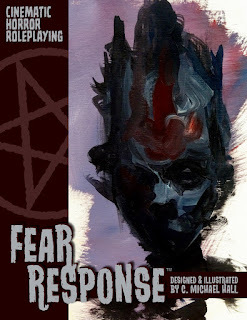 FEAR RESPONSE has simple, intuitive mechanics and a unique "Hidden Knowledge" system that ensures every character contributes to the story as it unfolds. 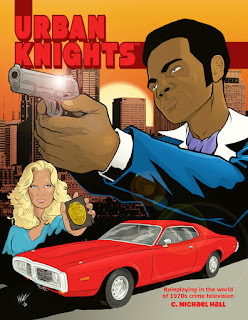 It's fast, fraught with terror, and available in digital format from drivethrurpg.com or in print from Amazon.com. Welcome to my Internet home, newcomers and old friends alike! Just poke around a bit...there's all kinds of stuff here, including samples of my freelance comics work and some of the games I've released this year. If you're checking back for the latest news, my latest release is URBAN KNIGHTS, a self-contained roleplaying game set in the fast, funky world of 1970s cop and detective TV shows. After a very successful Kickstarter campaign--which raised just over 300% of its funding goal--the book's available in electronic form from DriveThruRPG.com and will be available in print very soon! You can find a few more details on the Games page of this site. Welcome, newcomers and returning visitors alike, to my online portfolio! I've recently added more samples of my freelance artwork and I've created a whole new page for my game design projects (which have been rousing successes on Kickstarter and will be available for sale quite soon). As always, this page is an ever-evolving work-in-progress. If something doesn't work at the moment, I'm probably in the process of updating it. Please bear with me, and feel free to contact me if you have any questions about my work. Welcome to my online portfolio. While it's not a comprehensive record of my professional output, it gives you an overview of my work in a variety of creative capacities. If you have any questions, please don't hesitate to contact me. Thanks for visiting! This page is an ever-evolving work-in-progress. If something doesn't work at the moment, I'm probably in the process of updating it. Please bear with me!